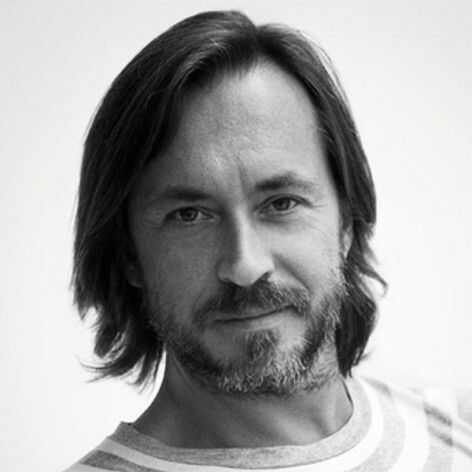 Marc Newson is one of the most acclaimed and influential designers of his generation. He has worked across a wide range of disciplines, creating everything from furniture and household objects, to bicycles and cars, private and commercial aircraft, yachts, various architectural commissions, and signature sculptural pieces for clients across the globe. Marc was included in Time magazine&apos;s 100 Most Influential People in the World and has received numerous awards and distinctions: he was appointed The Royal Designer for Industry in the UK, received an honorary doctorate from Sydney University, holds Adjunct Professorships at Sydney College of the Arts and Hong Kong Polytechnic University, and most recently was awarded a CBE (Commander of the Order of the British Empire) by Her Majesty the Queen. Marc has lived and worked in Tokyo, Paris and London, where he is now based. He is married with two children.